Shany is a modern hand-based typography, This font is made up of irregularly flowing letters, both between top-down and with subsequent letters, which makes it suitable for Logotype, posters, businness cards, merchandise, wedding invitations, greeting cards, banners blogs, clothing, water-based paint designs / prints, correspondence, quotes and more!. 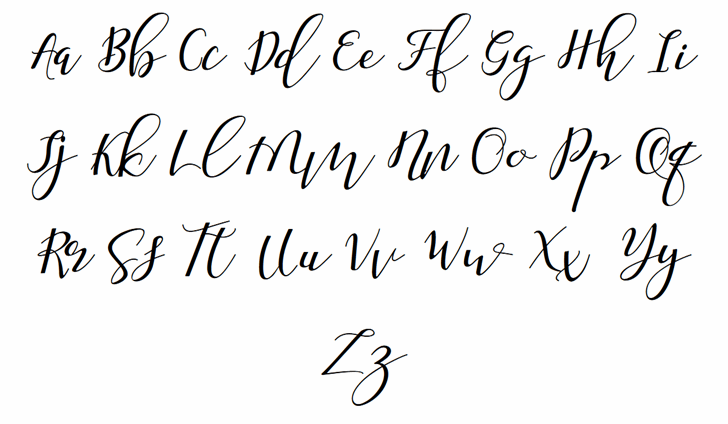 Shany has given PUA encoded (fonts with special code). If There Is Any questions, Please Let Me Know,Contact Me,At malindocreative@gmail.com,And I am Happy To Help You. Copyright (c) 2018 by Malindo Creative. All rights reserved. 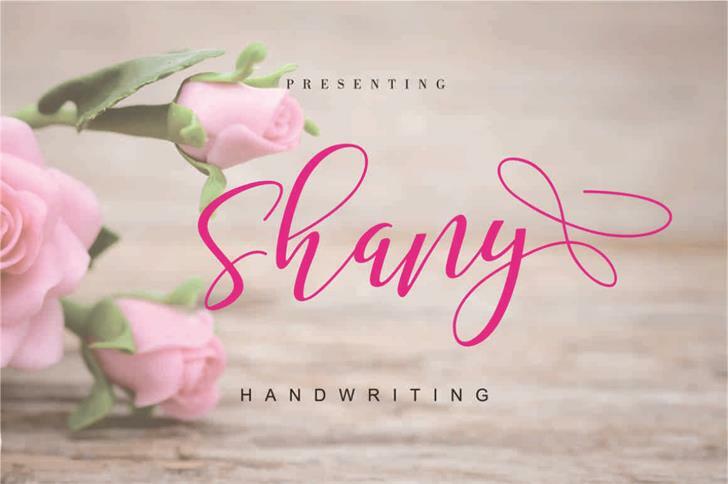 Shany Regular is a trademark of Malindo Creative.